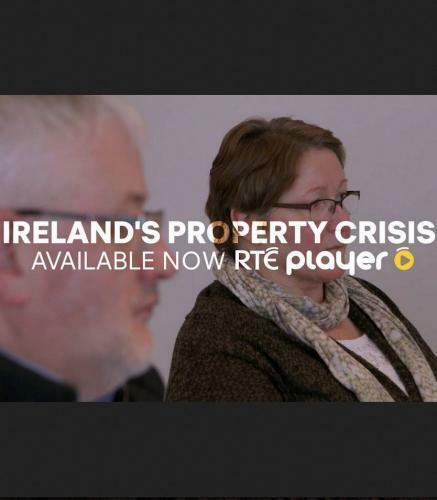 When will be Ireland's Property Crisis next episode air date? Is Ireland's Property Crisis renewed or cancelled? Where to countdown Ireland's Property Crisis air dates? Is Ireland's Property Crisis worth watching? As policy makers scramble to offer solutions it is clear that we are standing at a crossroads and the decisions that are made now will have a lasting impact on generations to come.IRELAND'S PROPERTY CRISIS offers a snapshot of seven days in Ireland with some of those who are on the frontline of the crisis. Whether they are people finding a way out of negative equity, looking for somewhere to rent, resisting eviction, hoping to buy their first home, or simply trying to find a bed for the night, the series gives an in-depth, personal view to help inform a national discussion at this crucial time in our history. Conclusion of the documentary about the housing crisis, offering a snapshot of seven days in Ireland with some of those who are on the frontline. Ireland's Property Crisis next episode air date provides TVMaze for you. EpisoDate.com is your TV show guide to Countdown Ireland's Property Crisis Episode Air Dates and to stay in touch with Ireland's Property Crisis next episode Air Date and your others favorite TV Shows. Add the shows you like to a "Watchlist" and let the site take it from there.